Afternoon tea in the garden! 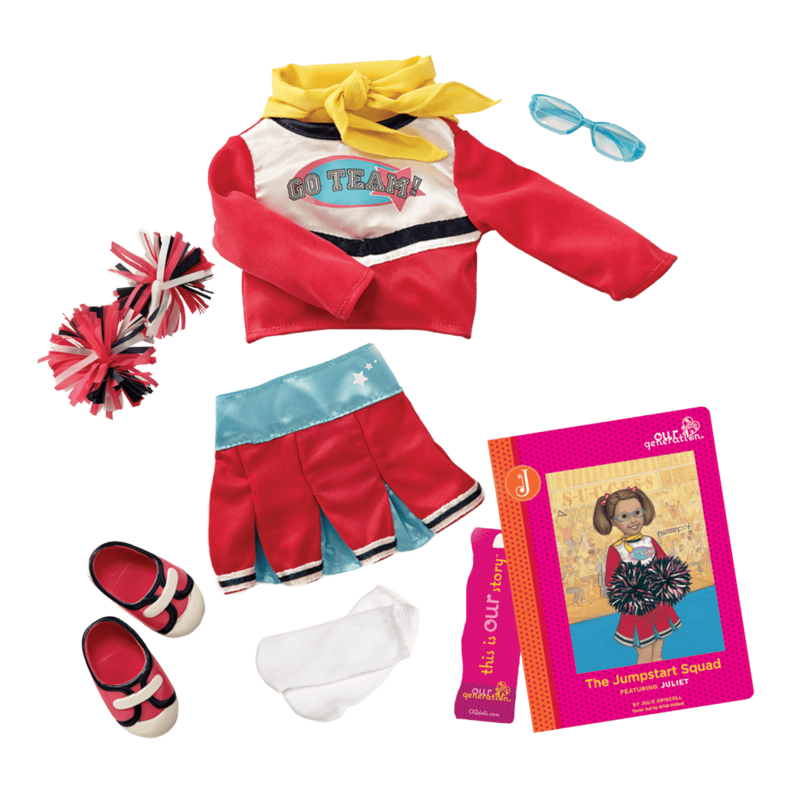 Sunny days are perfect for sweet treats and tea parties with friends, and your dolls will be dressed for the occasion in the Our Generation To a Tea Deluxe Retro Outfit for 18-inch dolls! 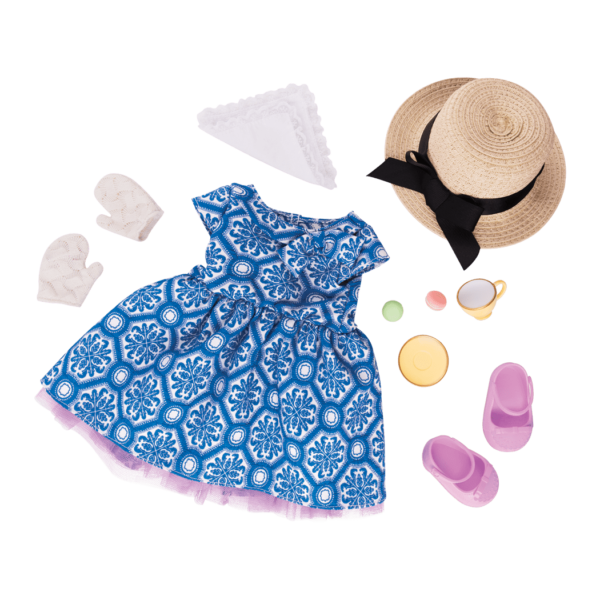 This garden party outfit has all kinds of charming details that make it perfect for a game of croquet, a stroll down the lane, or anything you can imagine! 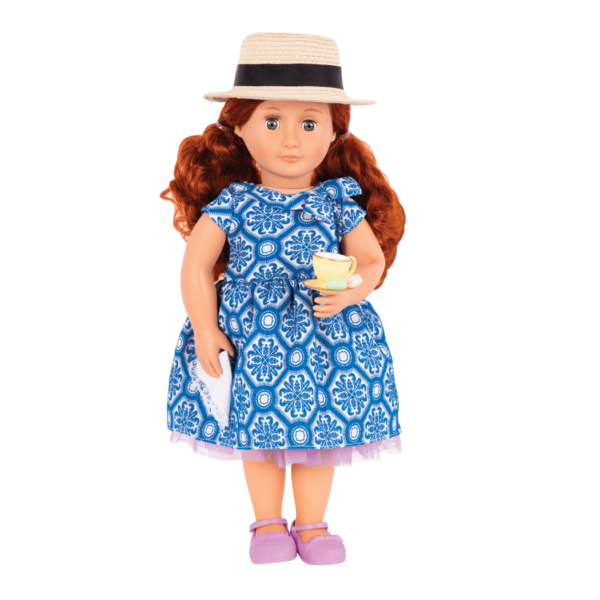 Dress your dolls in the beautiful blue Hawaiian-print sundress with a tulle hem detail and the cute matching purple shoes. Everyone knows that a fancy tea party requires a pretty hat! The cute straw sun hat with a bow will keep your dolls out of the sun and make sure they follow the proper etiquette. The adorable lace gloves add a classic, stylish touch to the outfit and perfectly complement the miniature tea cup and saucer. Two delicious French macarons provide just the right sweet treat for the tea party! 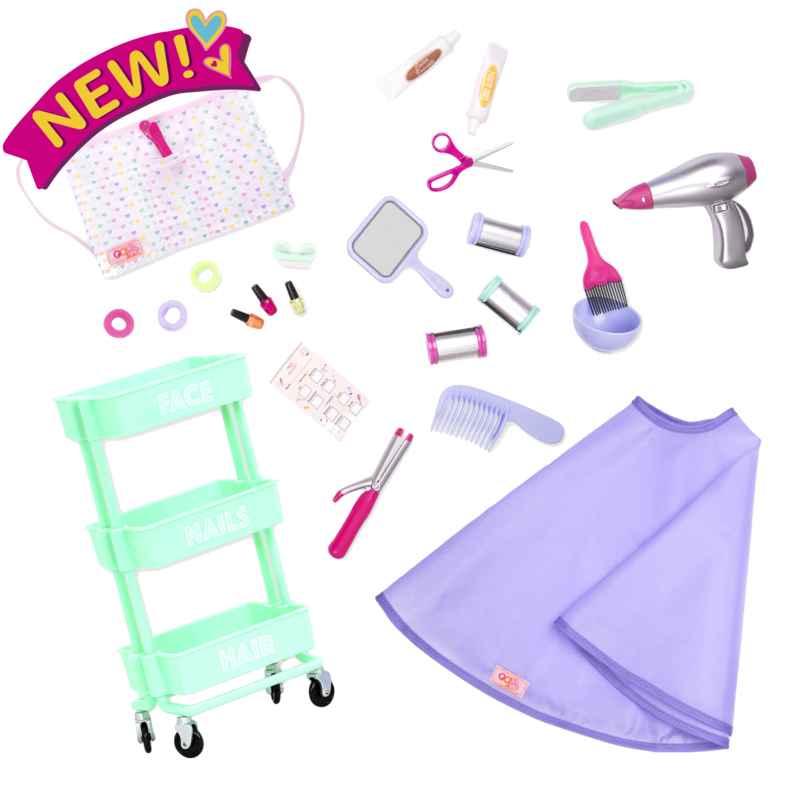 Add some lovely accessories to your tea party with the Garden Party – Banner accessory set featuring a pretty party banner decoration, and lots of sweet treats to share with friends! 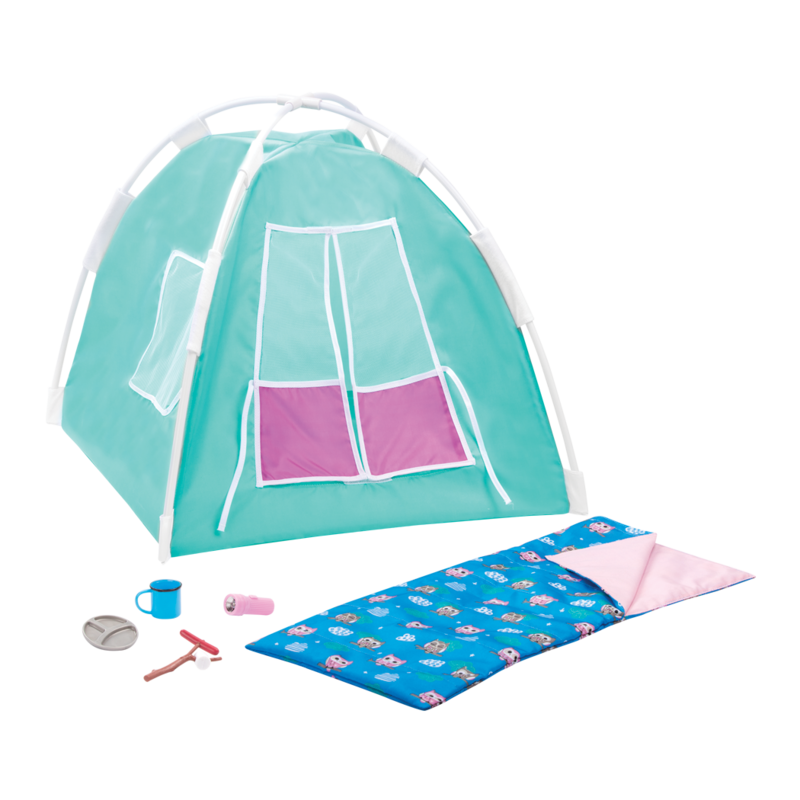 And the tea for Two set comes with a tea pot, tray of macarons, and more to help your dolls entertain their tea party guests!